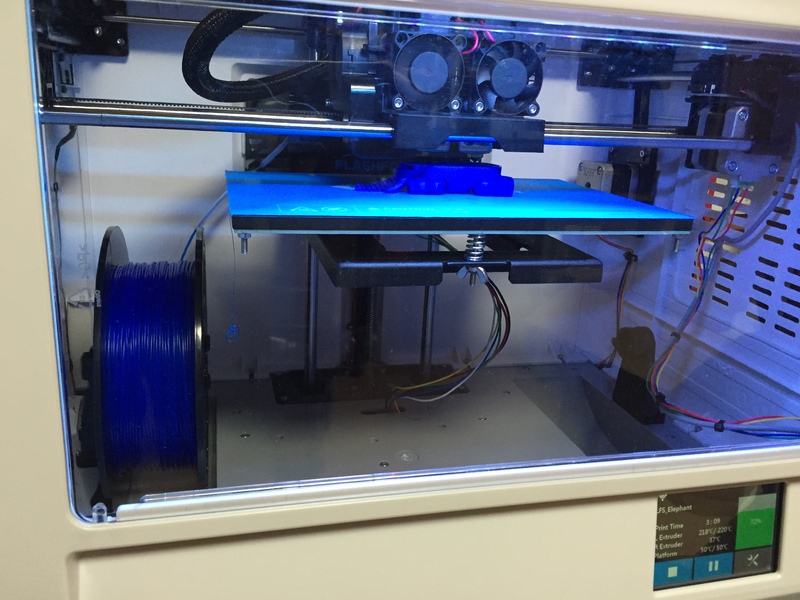 I’ve been eyeing 3D printers for quite a while and finally pulled the trigger and purchased the rather economical Flashforge Dreamer. I actually wanted a Taz 5 but I couldn’t find anywhere to ship it to Japan at a reasonable price, so whatever. Anyway, despite feeling a bit limited due to the smallish build area it’s been a lot of fun. The finished elephant. The legs move with no assembly as they are printed that way! Was up and printing in thirty minutes. So far stuff has worked without hairspray, glue sticks, painters tape and the other things I read about that scared me. The SD card shows as “error” in the dreamer when you have Wifi enabled. (as of the latest firmware available on 4/22/2015) I think it has something to do with Wifi mode taking over the SD card as it uses the SD card as a cache while printing. They should really change the message to “busy” or something. If you need to print from SD, turn off Wifi first. I almost always print with a fairly hot build plate. (65C) I let it cool before removing the print. DO NOT USE the putty knife it comes with. It’s way too thick. Buy one with a much thinner edged one at the store and you will be amazed at how much easier your prints come off the bed! 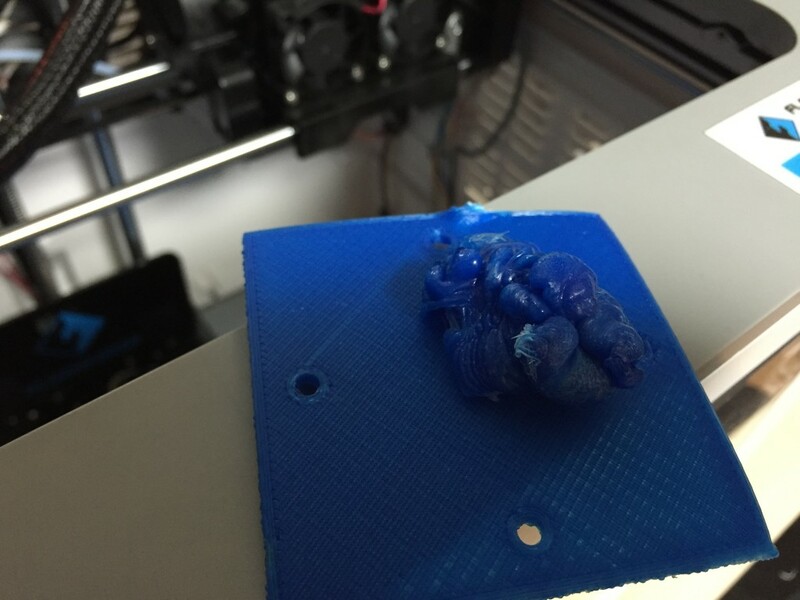 If a print is going to fail horribly, it’s probably going to be within the first 5 minutes, so check around then. 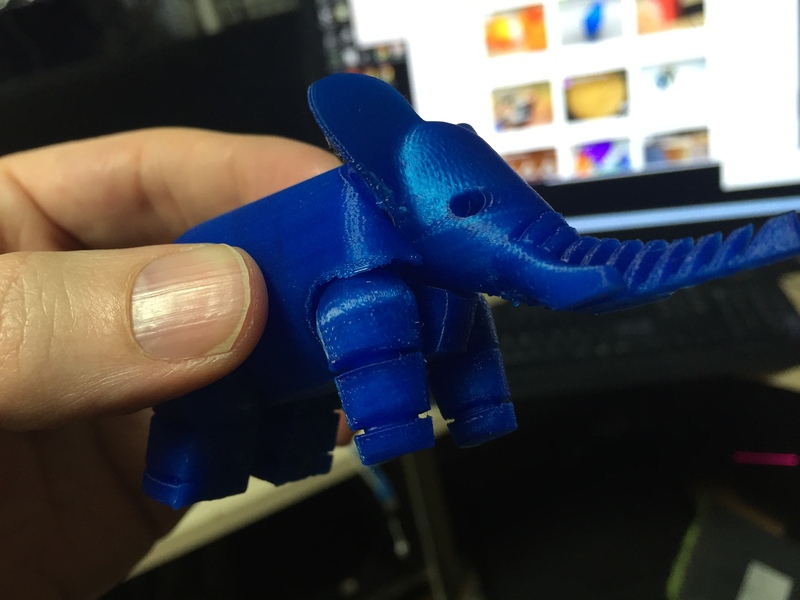 Thingiverse seems like “the place” to get 3d files. Any other good places out there? If you have a dreamer, the first thing you notice is those spools of filament you bought from adafruit are too big. No problem! I used this design and a skateboard bearing to create a nice lazy susan style spool holder, it works great. 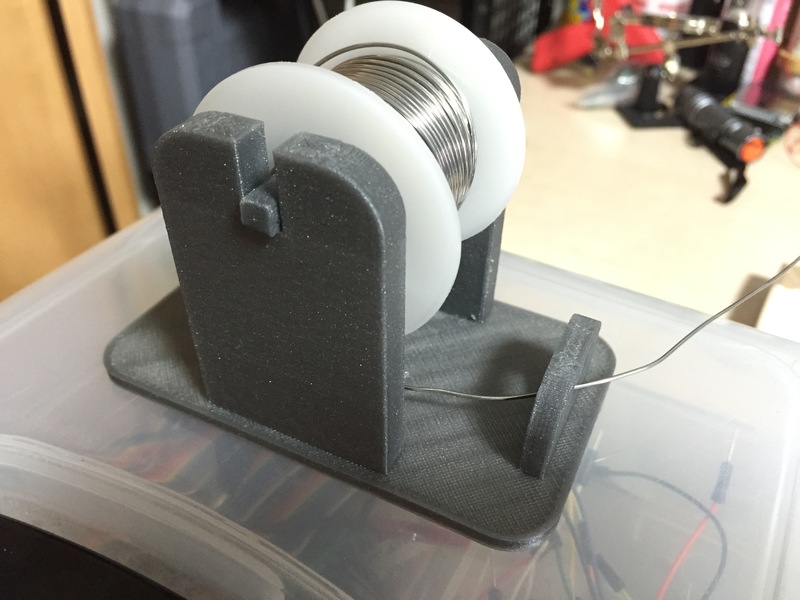 Also printed a solder spool holder just because. 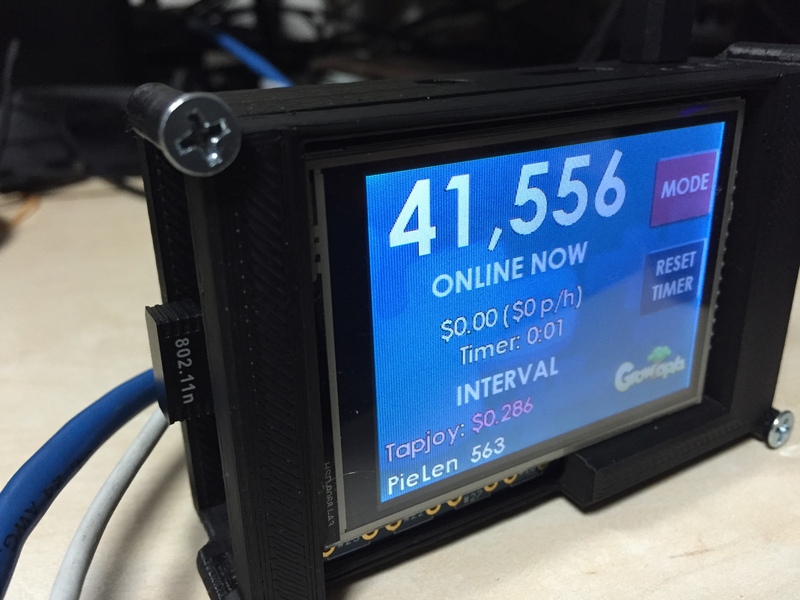 3D printed Pi2+PiTFT case for my Growtopia monitor so it looks less like a bomb, found it here. Ok, that’s all fine and dandy, but the real reason I wanted a 3D printer is to make my own stuff. I used Inkscape (sort of the Blender of vector art) to generate a shape from the 2D bitmap of the Growtopia logo, imported that into Blender and extruded it. Well, as I expected it’s a bit hard to see and crap in general. 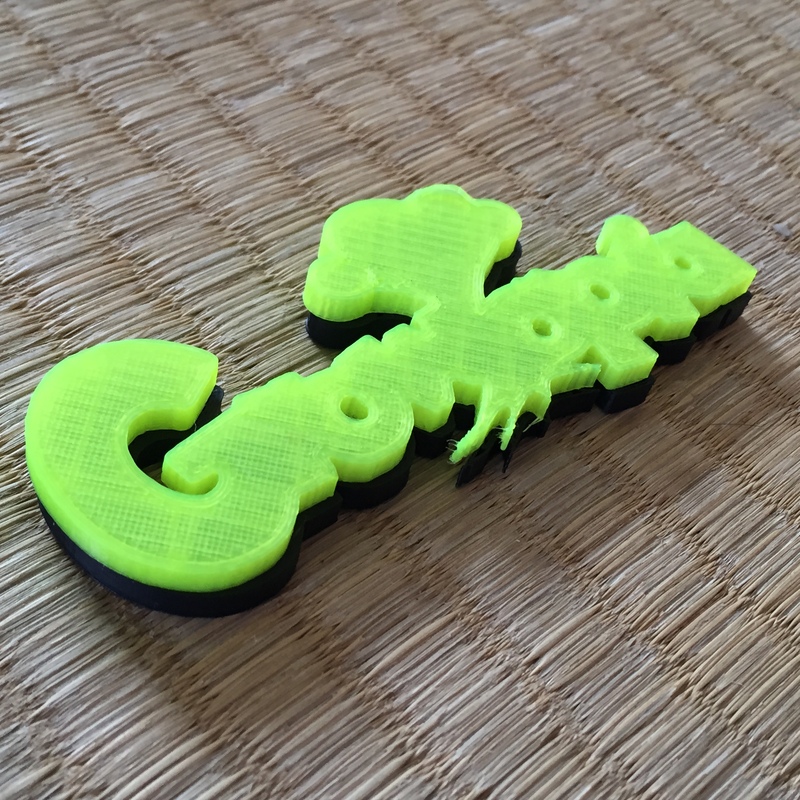 I printed another in black filament to sort of use it as a “drop shadow”, helped a bit. It was suggested on Twitter to print Growtopia characters, but man, that’s hard to do. Akiko whipped up a 3D model of a world lock for me though. 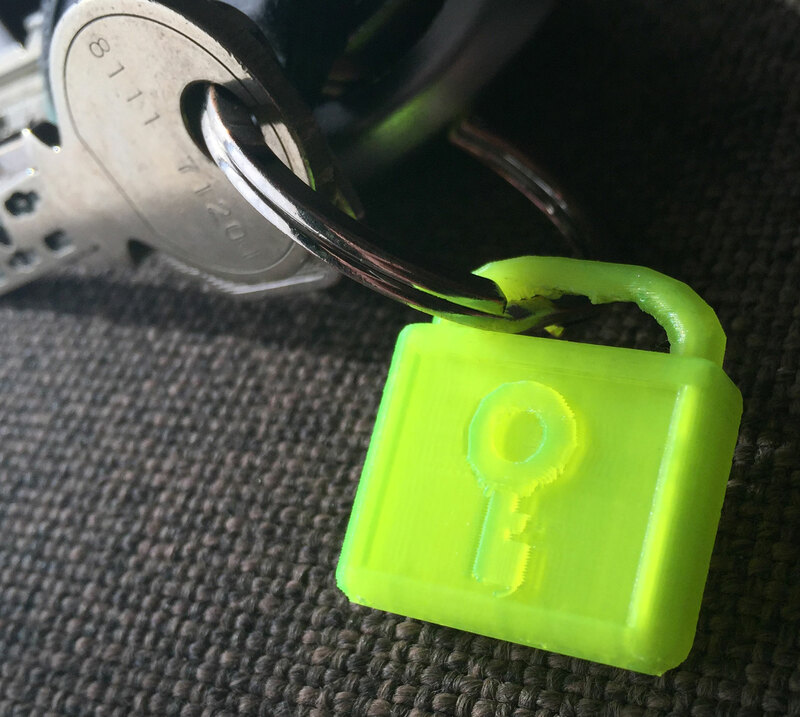 Have a 3D printer and want to print your own World Lock? You can get the .stl from here! 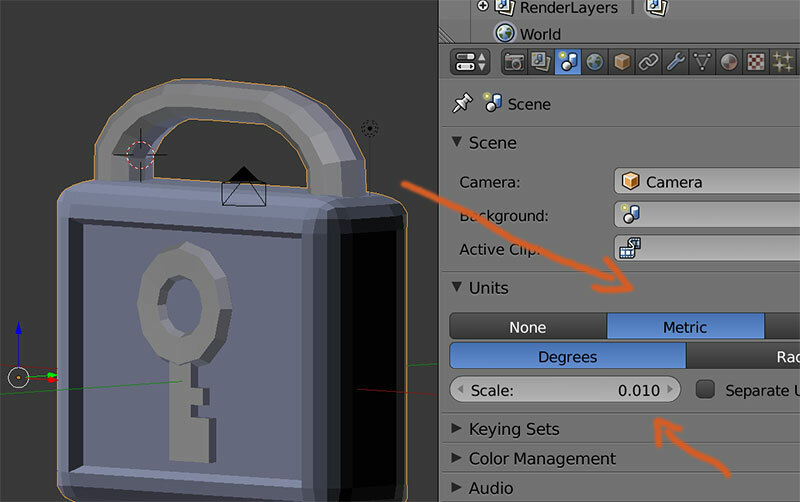 Also, keep in mind Blender now has some helpful options to check if your models are setup right for 3D printing, you just need to enable them. Too bad the export STL button on the 3D Print menu doesn’t have a scale setting, I need that. I bought a 9 pin dot matrix printer for $220 for my Commodore 128 a looong time ago. You’d laugh at the low resolution pictures I downloaded off Quantumlink and printed. You had to stand across the room to figure out which movie star it was. So noisy. So slow you could read faster than it could print! Similarly to the path 2D has taken, I believe 3D printing is now accelerating its journey towards detailed full color prints that will become a standard we all take for granted in just a few years. Exciting times. This entry was posted in Art, Development/RTsoft, Growtopia, Tech Tips on April 23, 2015 by Seth. That’s cool. If you had the 3D models from Dink around still you could print a duck or goblin.